Possible designs for Southport's Star of the Sea development. 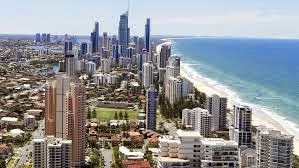 TWO highrise developments expected to bring more than $1 billion into the Gold Coast’s economy have been given clearance by Gold Coast City Council. The Star of the Sea ­development and a multistage Meron St project previously known as Imperial City have both been given preliminary approval. Developers behind both projects have been notified, allowing them to progress to the next stage of submitting detailed plans for their sites before construction. Because both fall within the Southport Priority Development Area, approval can be granted by the council under delegated authority without requiring a vote by the city planning committee. The multimillion-dollar Star of the Sea project is expected to become a resort and lifestyle precinct and has been proposed by Huixin Real Estate Group, through Australian arm Garuda GC. The developer paid benevolent Catholic order the Sisters of Mercy $27 million for the 1.5ha site this year. While the final designs for both projects are yet to be determined, one artist’s impression put forward by Garuda to the council shows Star of the Sea, a former Catholic convent, transformed into a multi-tower precinct. 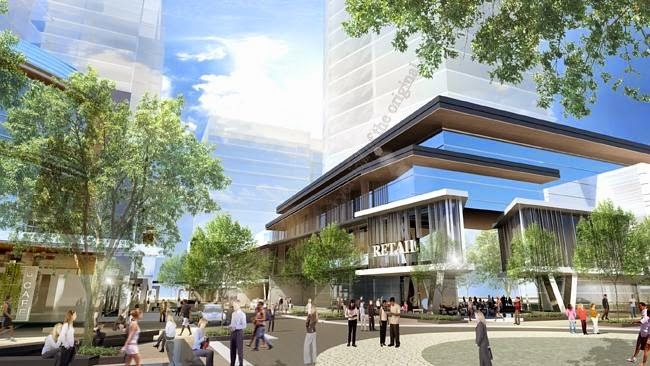 Among its proposed features are residential, commercial and hotel towers, a pedestrian mall connecting the development to Nerang St, a historic plaza and retail space. It is also expected to include restaurants, bars and al fresco dining, along with an art laneway. Mayor Tom Tate said the approval of both projects would signal further investment in Southport. “This shows confidence in Southport and the creation of the PDA,” he said. “When people put in an entrepreneurial application they know it can get a tick from council and that the process moves quickly. The Meron St project is proposed by developer Rob Badalotti’s Azzura International Constructions and earmarked for a 1.3ha site on Ferry Rd. While its design is yet to be determined, initial plans ­suggested it could feature up to six towers, including a ­flagship supertower of more than 100 storeys. 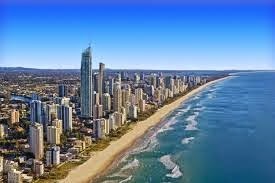 Mr Badalotti is a long-time Gold Coast developer who has owned the Meron St site since 2007. He was ­previously responsible for the Wings and Palazzo Colonnades towers. 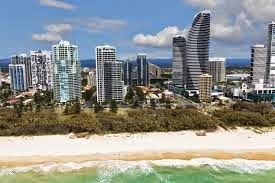 UDIA Gold Coast boss David Ransom said the PDA allowed developers to have their proposals fast-tracked. 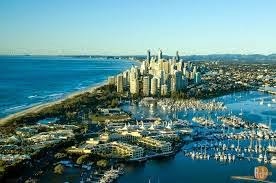 “With Star of the Sea it will be fantastic to have something like it on the Broadwater as an asset for the future,” he said. The approvals come on the back of a wave of development sweeping Southport since it was declared a PDA in late 2013. Nearly $2 billion worth of projects has been approved for the suburb during the past year. About 5000 apartments have been approved, along with 41,000sq m of commercial and office area. 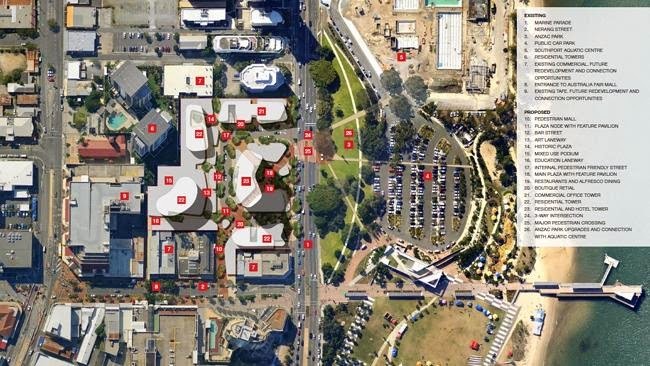 Some of the top projects approved in Southport are 43 Lenneberg St, an eight-storey apartment block valued at $8 million, and 23 Norman St, a $60 million 30-storey tower. A 32-storey mixed-use highrise earmarked for the corner of Scarborough and White streets and Owens Lane has also been approved. Just what has been given preliminary approval when “the final designs for both projects are yet to be determined”? Does all of this really go ahead “without requiring a vote by the city planning committee”? It is all somewhat alarming. Who is managing what? “While the final designs for both projects are yet to be determined, one artist’s impression put forward by Garuda to the council shows Star of the Sea, a former Catholic convent, transformed into a multi-tower precinct. Is everything really based on the “expectations” of “proposed features”? What else might the development include or not include? What is “an art laneway”? What does the mayor mean when he says: “When people put in an entrepreneurial application they know it can get a tick from council and that the process moves quickly.” Is Council happy to approve anything “entrepreneurial” whatever this might mean - the higher the better? Might 200 stories be preferred and approved faster? Could it have up to nine towers? How can anyone plan any place and manage impacts when approvals are given for expectations of entrepreneurial visions of whatever? 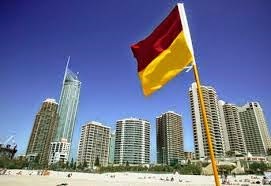 Is the Gold Coast back in the hands of developers, with the most ambitious and brazen being given carte blanche? What hope is there for a strategy that just looks like collusion? What is really going on? This looks like it could become a fertile ground for corruption. Sky, clouds or towers? Where are the shadows? It is not as though the architectural illustrations reveal anything more than the words. While some of the lower stories in the street view show a few diagrammatic, glassy, stepped box forms behind trees surrounded by foggy people, the towers, those apparently likely to go up to 100 stories, are only ghosted in like clouds, as if they might have zero impact. Colour them in with solid forms and dark shades and the whole sky is obliterated! Like the towers, the people too cast no shadows. They look like hollow forms hoping to give the impression of street vitality under a blue sky filled with fluffy white clouds that may never be. The artist has included a few shadows, but it looks as though these have been added to improve the composition rather than to indicate any actual reality. 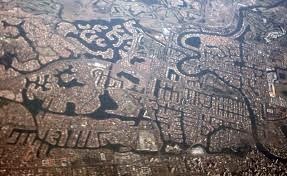 All planning everywhere needs better than this apparent ad hoc process. Good planning requires commitment based on strategies that define outcomes and futures rather than being what looks like a black hole that can accommodate everything and anything, whatever this might be, wherever it might be, however it might be. 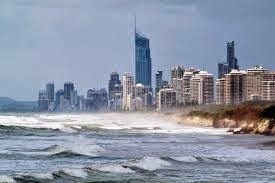 Has future coastal erosion been considered? 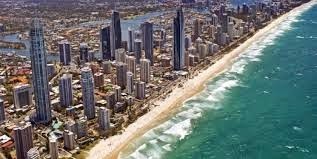 Has anyone reviewed the impact of rising sea water? NOTE: Images in the report illustrate the Star of the Sea development proposal. 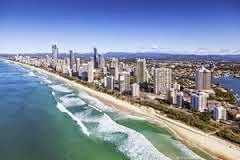 All other images are general views of the Gold Coast.